Thread: Thoughts on Benchmade's major mistake last week? I wanted a thin lightweight EDC blade that would allow my phone to also ride in that same pocket. It was going to be a Benchmade Bugout until they stepped on their privates. This arrived yesterday. Massdrop Gent. Better quality and 30% less $$. 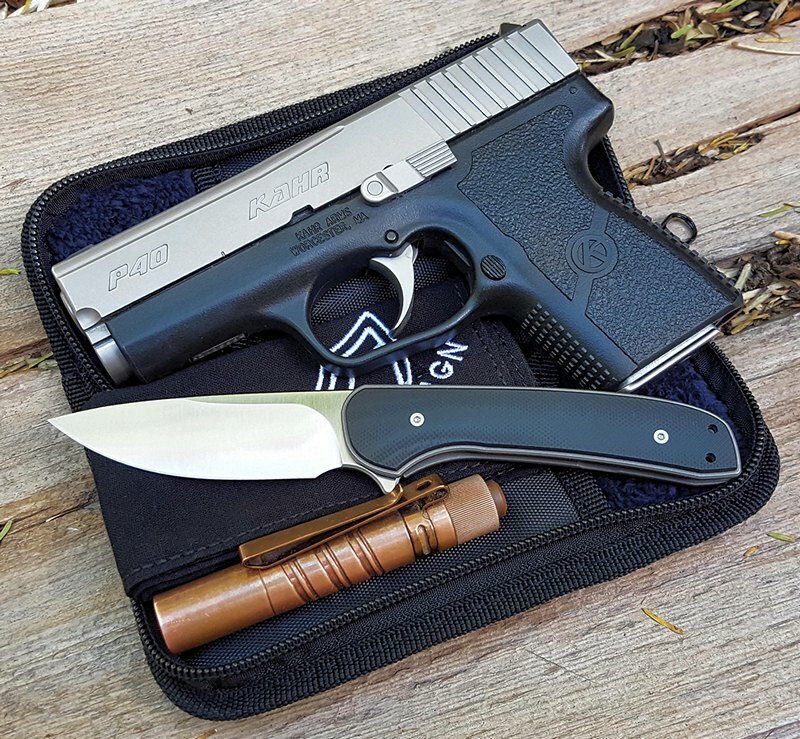 The deep carry clip is very strong and it looks like you are carrying a pen in your pocket. Outstanding. They are available on a very limited basis. A few years ago I bought a slightly uses Chris Reeve Mnandi for something in the mid $300 range. It was very similar in size with the same steel, same frame material but nowhere near as smooth in operation and it required two hands to open. I sold that knife because I felt it was too expensive to carry in my pocket for daily use. This Massdrop Gent is priced where it will be used and with its simple construction can be cleaned without disassembly. The included case is a nice addition. I am glad you got one. Haven’t bought a Benchmade in years. I usually carry a Hinderer. That news doesn’t bother me. A little over a year ago Texas changed its laws allowing a Texican to carry an automatic knife. Nothing says, "stay away from me" like the snap of an out the front switchblade (with the exception of racking a 12 gauge). A couple officers here have those although I don't think they carry them anymore. Civilians here in Washington of course aren't allowed although I never could understand the concern. Personally playing with them here they scare the daylights out of me, definitely wouldn't want to carry in my pocket. The ones here had fairly positive safeties to avoid unwanted opening out the front but wasn't enough to allay my fears. I'm a fixed blade guy myself these days. I'm happy that Texas had the common sense to allow the common folks to carry these if they want. Thought that was what the Kahr was for. Knives for field dressing. I looked into buying one of these a couple of days ago. Was really interested until I finally realized they are tip up carry. I don't do tip up carry. What is the problem with tip up carry? I sllced my my finger with a new tip up knife that opened in my pocket many years ago. Been wary of them since. Second, tip down gives me preferred grip when I pull out/draw it. Holds for both thumb flip manual folders and automatics.